Knoxville TN has a lot more going for it than you probably realize. 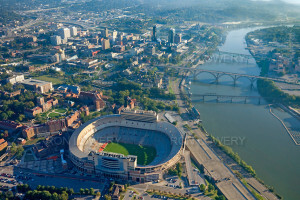 This little southern city is the home to some big events that you may not have even realizes came out of Knoxville. 1. 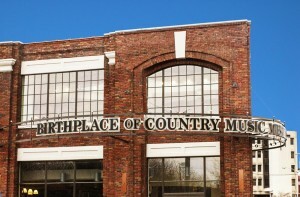 Knoxville is considered the “cradle of country music” it is the place where country music first came down from the hills. 2. 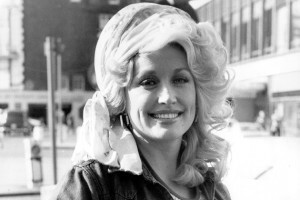 Dolly Parton got her start in Knoxville as did the Everly Brothers. 3. 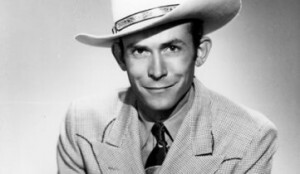 Hank Williams Sr. spent his last night alive right in Knoxville. 4. 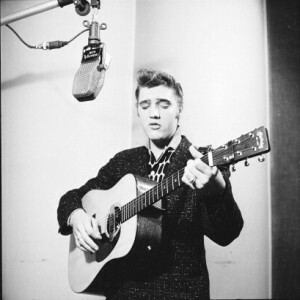 Elvis Presley did not get his start in Knoxville but he did get a nice sized push when a record exec heard his first song being played in a store in Knoxville on the radio and as they say the rest is history! 5. 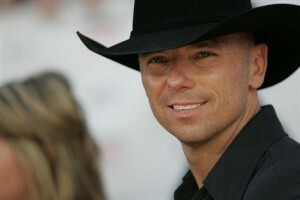 Country singer Kenny Chesney grew up in Knoxville TN and calls it his home. 6. It is a city that is very rich in history and has played a role in just about every aspect of American history from being the epi center for the Tennessee Valley Authority. 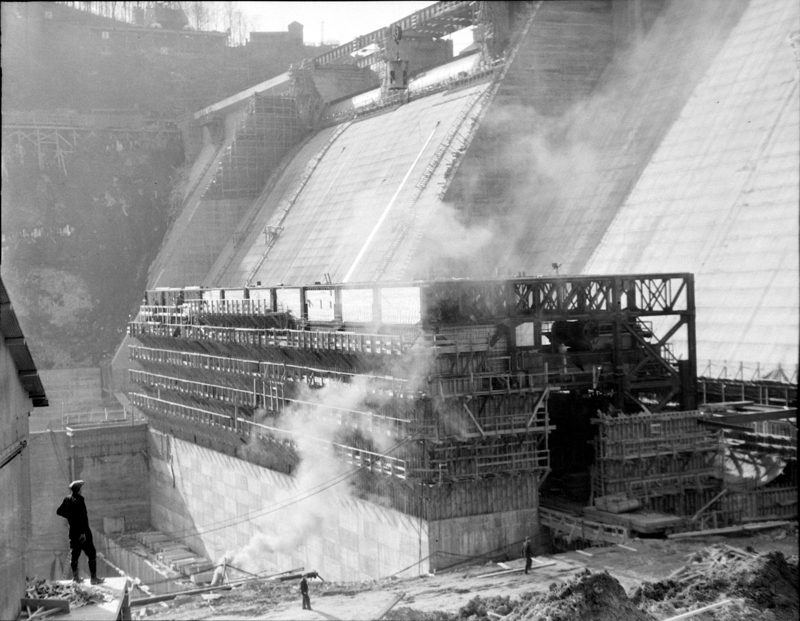 Norris Dam was the first dam of the authority was built north of Knoxville in the 1930’s. 7. 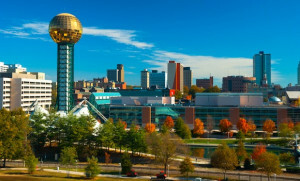 The list of accomplishments and fun facts about this city is long and pretty amazing when you think that it is nestled in the middle of the state of Tennessee without access to many of the large ports although Knoxville can be considered an international port in its own right. If someone was so inclined they could travel to the Great Lakes and back down to the Gulf of Mexico on the Tennessee River, which of course runs right through Knoxville. Every famous city around the globe has its proper name and than its nickname. Like NYC is called the Big Apple, Knoxville has enjoyed some different nicknames through out the years. 8. It was called the “Marble City” for a while because of the rock that was quarried in the area (which was not actually marble but looked a lot like it). 9. It was called the “Streaking Capital” thanks to an unusual streaking event in the 70’s. 10. The famous newsman Walter Cronkite also blessed the city with the “Underwear Capital” as a moniker in the 70’s thanks to the same streaking event. 11. Of course “The Cradle of Country Music” as explained above was also a name that is used to describe this rather diverse city. 12. 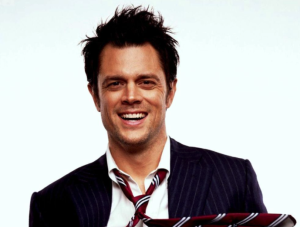 Johnny Knoxville (celebrity and movie star) comes from Knoxville his actual name is Phillip John (PJ) Clapp. 13. 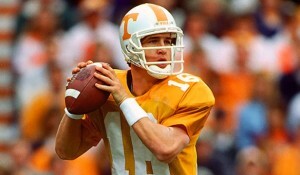 Peyton Manning the star quarterback got his start at UT. 14. Author Kurt Vonnegaut was also born in Knoxville. He is best known as a counter culture writer that inspired a generation of hippies to question authority. 15. Adolph Ochs who would someday become the owner of the New York Times newspaper got his start in Knoxville as a junior typesetter at the ripe old age of 11! 16. 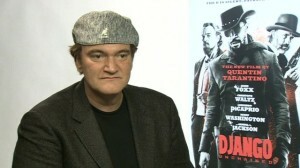 Quentin Tarantino the award winning movie producer was also born in Knoxville. 17. Admiral David Farragut was born in Knoxville and made his mark as a Union Admiral and is credited with coining the famous phrase “Damn the torpedos, full speed ahead”. 18. 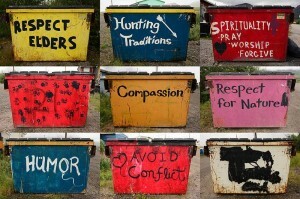 George Dempster was born in Knoxville and invented the first garbage dumpster. The Dempster Dumpster was considered an engineering marvel of the time. He also was the FIRST stems shovel operator to move earth for the Panama Canal project. Upon his return to Knoxville he became Mayor of the city but not without a bit of controversy. He is credited with getting “rid” of the old market square and building the new square. The newspapers of the day reported that there was a “suspicious” fire but while there were plenty of whispers no one outright accused Mr. Dempster of inappropriate behavior. 19. The famous poet/author Nikki Giovani was born in Knoxville as was the first black federal judge William Henry Hastie. 20. 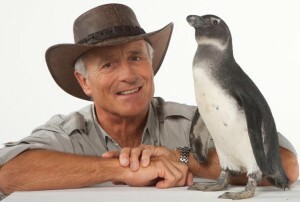 Jack Hanna the world renowned zoo keeper often appearing on television shows like Good Morning America claims Knoxville as his birth place! 21. The first electric streetcar in Knoxville debuted in 1890. 22. It is also home to the Tennessee Power Authority which was instituted in 1933 to bring “electricity to all” by them president Roosevelt. 23. Knoxville is credited with planting the seed of conservation for the Great Smoky Mountains National Park as early as 1913 with the National Conservation Exposition that was held to raise awareness of the beauty of the Great Smoky Mountains. 24. The Great Smoky Mountain National Park was opened in 1933 and is the nations most visited national park thanks to the efforts of the people of Knoxville that insisted on protecting the land. 25. Knoxville has our own special way of celebrating Labor Day! 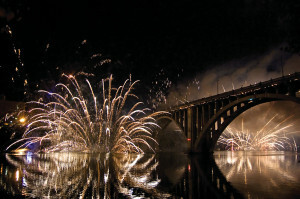 Each year the “Boomsday” celebration is a work of art with one of the largest fireworks displays in the country over the Tennessee river! Boomsday is a huge event where people come from miles around to participate and enjoy the spectacle. 26. 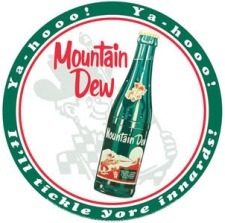 In 1940 Mountain Dew was born in Knoxville TN. It may not seem like a big deal now but it was a pretty big deal for the region than! 27. The Knoxville Gazette was the first newspaper in Knoxville TN. It was printed in 1791! 28. The University of Tennessee was founded in Knoxville in 1794 but not as the University of Tennessee but as Blount College. It was not until 1879 that the university became the University of Tennessee at Knoxville. 29. 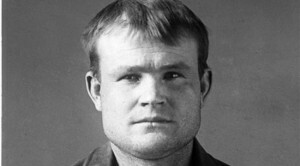 In 1901 a member of the famous Butch Cassidy’s outlaw group was captured in Knoxville after shooting two sheriff deputies. He was incarcerated in the city jail and was able to shoot the sheriff and escape on the sheriff’s horse and gallop to freedom once again. 30. During the civil war Knoxville was a very much-divided city and even had its own radio station that supported the Union efforts! 31. 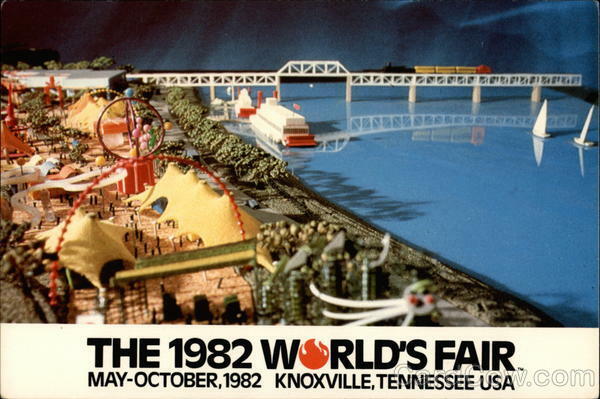 In 1982 Knoxville became the smallest city to ever host a worlds fair. 32. At this fair the first touch screen was introduced. 33. Bottles of Cherry Coke were revealed and generally speaking a good time was had by all attendees. 34. The Golden Globe of the Sunsphere (a giant gold globe that sits in the middle of down town Knoxville) houses offices not “old wigs” as mentioned in the hit TV shows the Simpsons. 35. 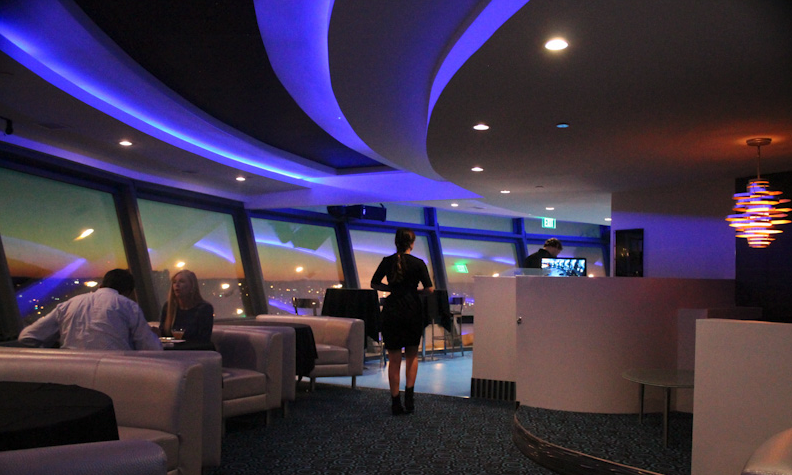 The Susphere is only one of two buildings that remain from the 1982 worlds fair. 36. The 1982 worlds fair is considered the last successful worlds fair the US hosted! 37. It is completely illegal to lasso a fish in Knoxville! 38. Bowling was the number one sport in Knoxville and had more followers than any of the other sports of the time in 1859 largely because the other more common sports like baseball and basketball had yet to be introduced to Knoxville. 39. 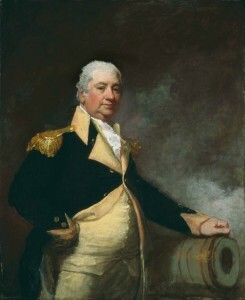 Knoxville is named after Henry Knox the first ever Secretary of War for the United States. 40. 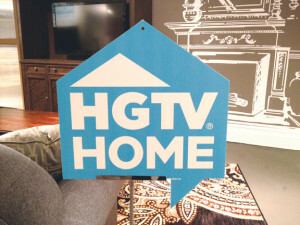 Knoxville is currently home to HGTV a home and garden cable/satellite network. 41. In 1860 Knoxville had a population of about 3500 residents today the population is about 170,000, which does not include the approximately 25,000 students that attend the University of Tennessee at Knoxville. Knoxville is a diverse city that has a long and interesting history that has really played a tremendous role in how America was shaped!